Green LEDs Reduce Gillnet Induced Sea Turtle Deaths « Adafruit Industries – Makers, hackers, artists, designers and engineers! Dr Jeffrey Mangel, a Darwin Initiative research fellow based in Peru, and Professor Brendan Godley, from the Centre for Ecology and Conservation at the University’s Penryn Campus, were part of a team of researchers who found that attaching green battery-powered light-emitting diodes (LEDs) to gillnets used by a small-scale fishery reduced the number of green turtle deaths by 64 per cent, without reducing the intended catch of fish. The innovative study, carried out in Sechura Bay in northern Peru was supported by ProDelphinus, the UK Government’s Darwin Initiative, the National Oceanic and Atmospheric Administration and published in Marine Ecology Progress Series. 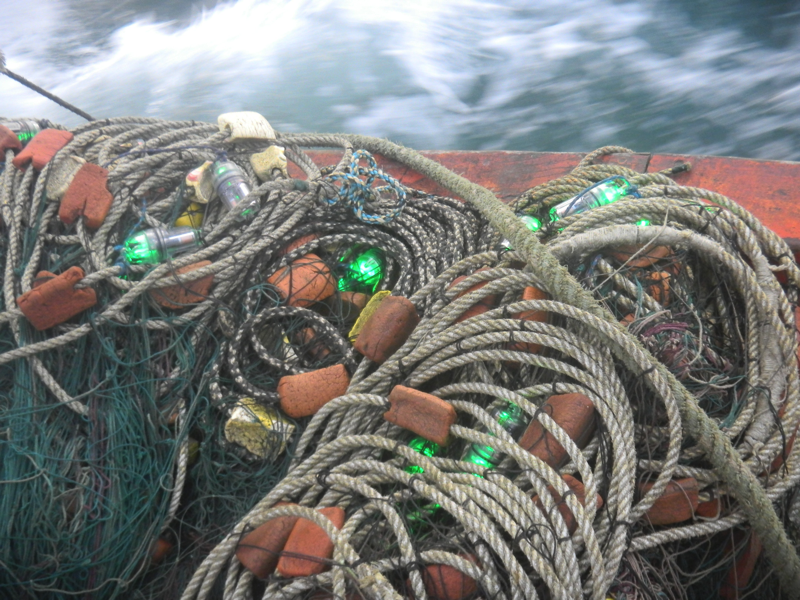 It is the first time that lighting technology has been trialled in a working fishery. At a cost of £1.40 ($2) for each LED light, the research showed that the cost of saving one turtle was £24 ($34) – a sum which would be reduced if the method was rolled out at larger scale.